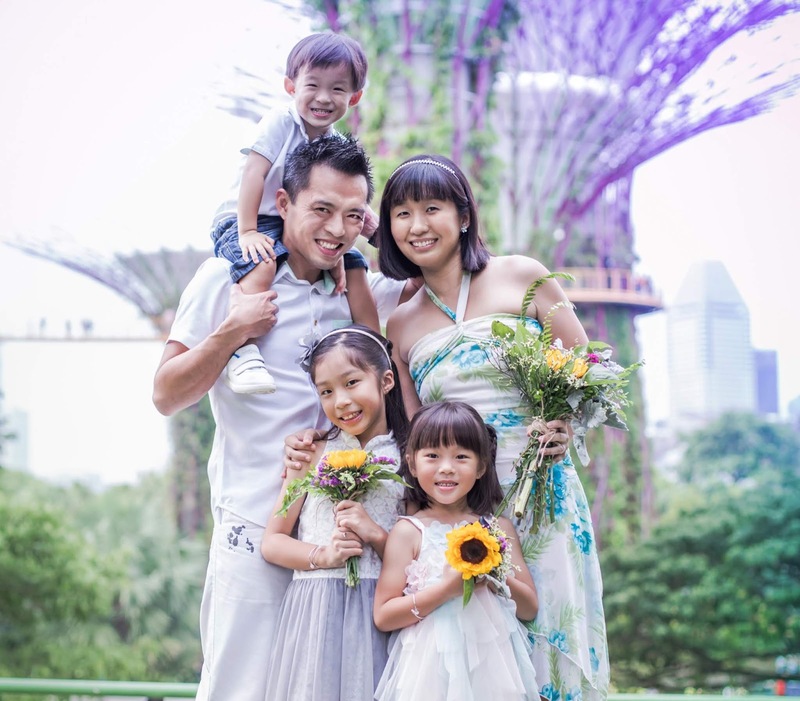 Now that the September school holidays are here, if you are the parent who is always on the lookout for new child-friendly venues, this post might just excite you about a fun-filled learning haven for the kids. 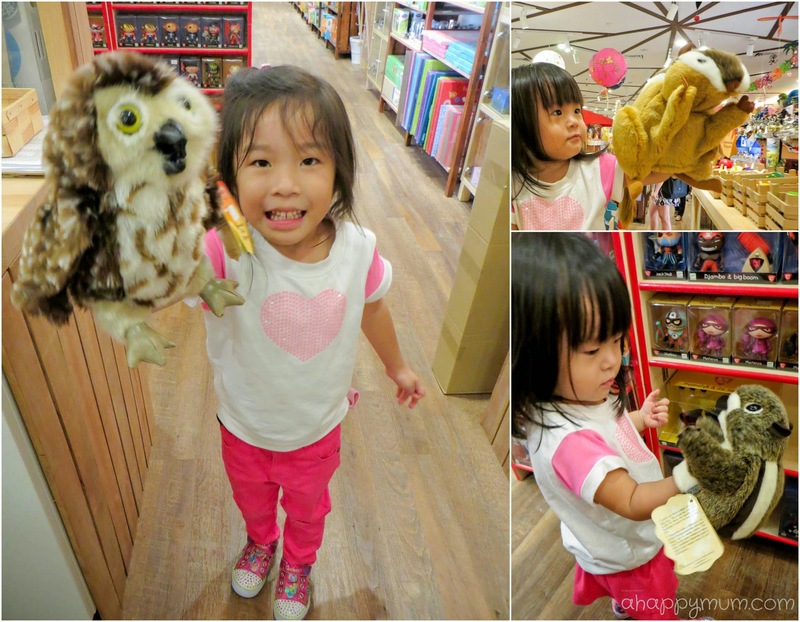 In order to further expand their family-friendly offerings, The Centrepoint has just introduced 2 new concept stores on the 3rd level - The Better Toy Store and Studio Miu Art. We were invited to take part in an experiential session with two of the tenants and had fun exploring, playing, creating and learning. 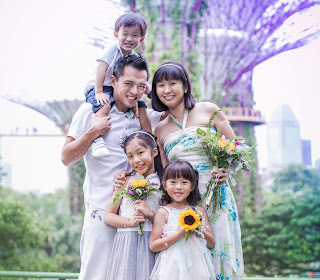 Today, I'm sharing with you about the activities we did and the factors that make these family offerings outstanding, plus I have an awesome hamper filled with toys and craft supplies to give away at the end of the post. Studio Miu Art is a gathering place for art enthusiasts. 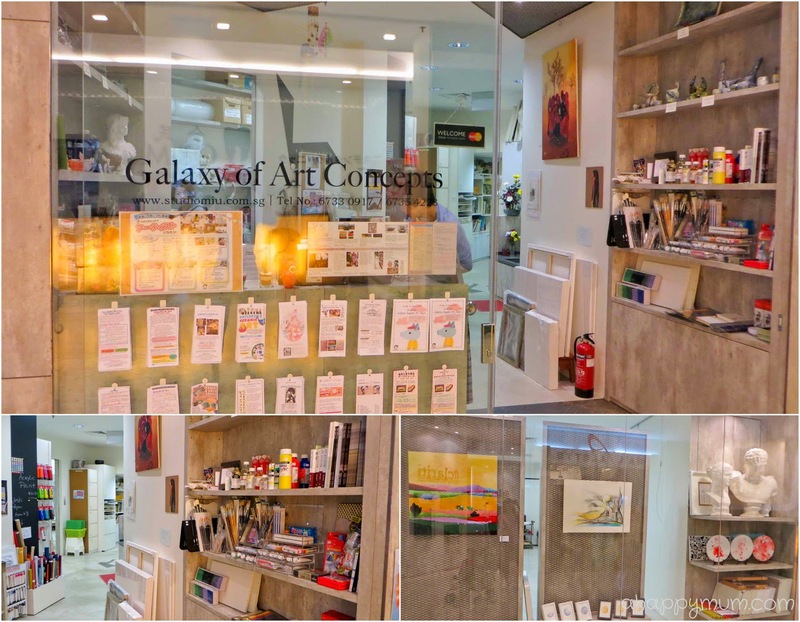 Having been around for over a decade with the only branch’s new location at The Centrepoint, it aims to foster creativity for both children and adults by teaching lessons in visual fine arts from beginner to advanced levels. 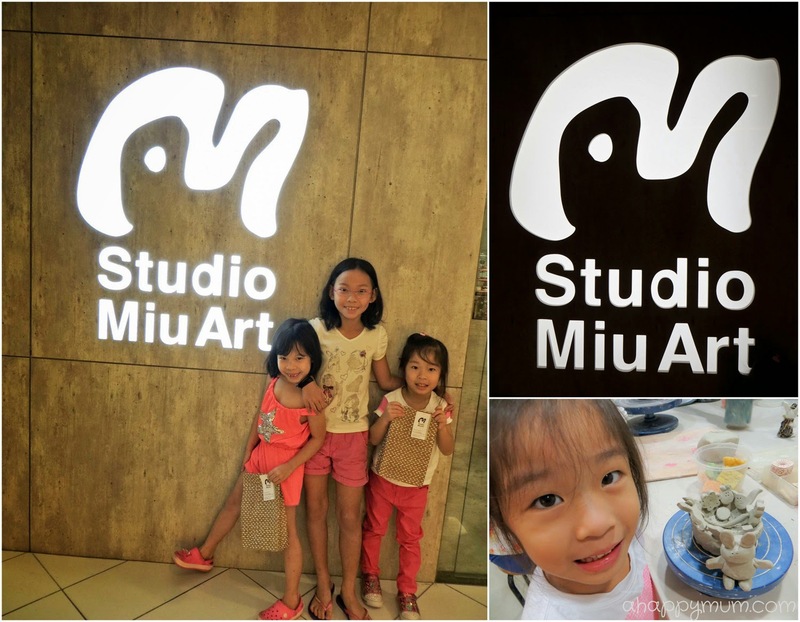 Fuelled by a strong passion in promoting the enrichment of arts in Singapore, Studio Miu Art provides opportunities to express one’s feelings and thoughts artistically through painting, drawing and craft. 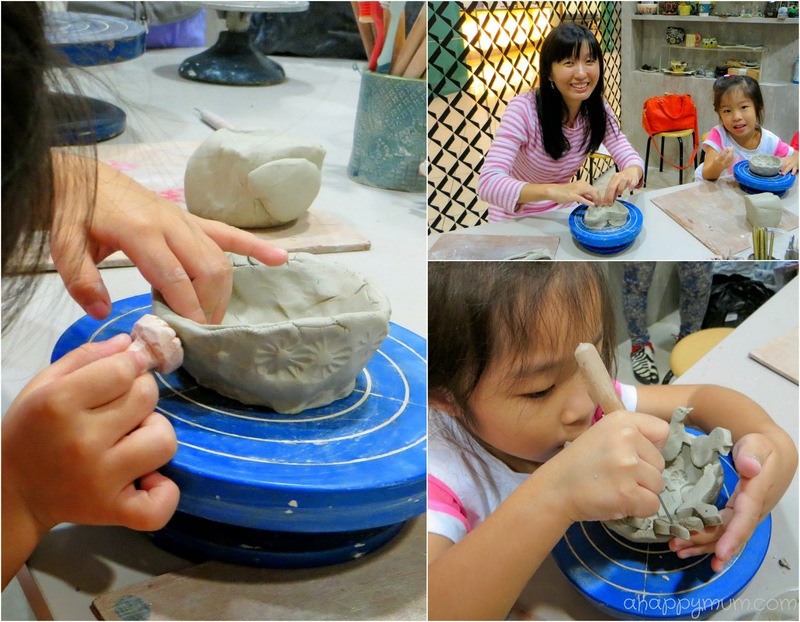 Having been established in Singapore by Japanese artist and art entrepreneur Maya Takahashi, the studio has evolved to become a popular workspace that encourages children's expression of imagination through a wide variety of age-appropriate activities including Illustration, Manga, Chinese calligraphy and Ceramic art. For children above 4 years old, there are Regular Art Classes which seek to develop a holistic learning approach to art in 2-dimensional and 3-dimensional forms. If you have a toddler at home, you might be pleased to know that there are also Fun Toddler Art classes available for 2.5 to 4 years old kids where they will be able to create their first works of art with materials such as paints, crayons and clay while stimulating their senses and creativity. For class schedules and fees on children art classes, go here. 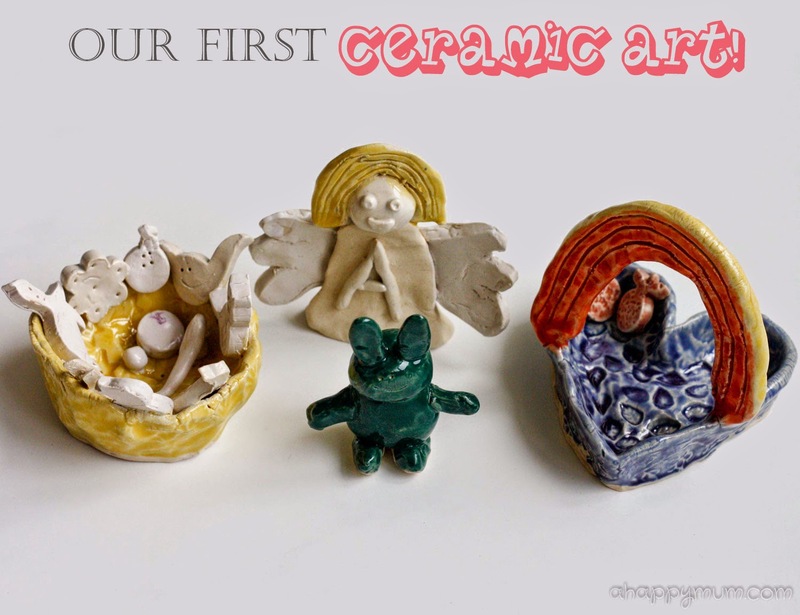 For our session, Angel and I actually got down to doing something really fun and hands-on, something which we had never done before as mother and daughter - Ceramic Art! 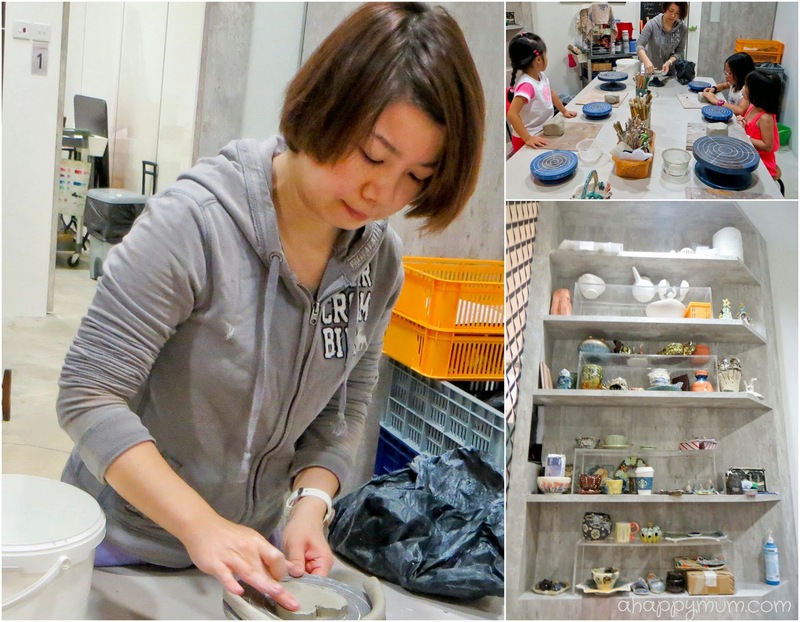 Thanks to our kind and patient teacher Saya Yamaguchi who comes from Kyoto, Japan and has been practising ceramic art for the past 16 years, we learnt about the step by step fundamental techniques of this unique art medium. After watching the live demonstration, we each received a huge block of clay, a pottery wheel and it was time for us to make our first ceramic creations ever! Angel decided to make an animal-themed bowl while I wanted to challenge myself with a heart-shaped holder. We made use of basic techniques like rolling and moulding, followed by stamping to create patterns and using cookie cutters to add shapes as embellishments. When Teacher Saya asked Angel if she wanted to make eyes for her animals and passed her a sharp tool, I was impressed that she not only made eyes, she gave them happy smiles too. I think a work of art can tell a lot about a child, don't you agree? It was an enjoyable and interactive 1.5-hour session where we had fun shaping, cutting, sticking, carving, playing and learning. 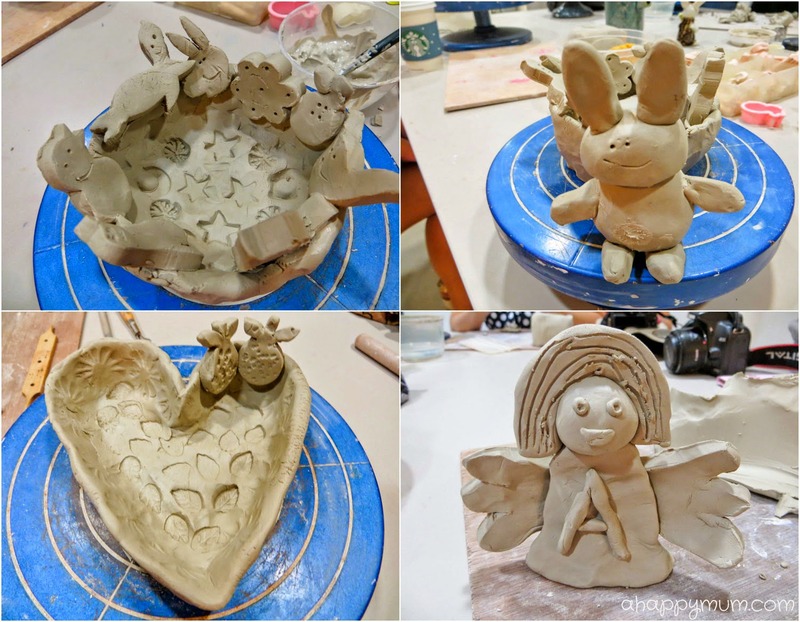 Check out our final creations above - a round bowl and rabbit figurine by the girl, and a heart-shaped holder and Angel figurine by me. Lastly, we also learnt that the drying, baking, glazing and colouring process would take a minimum of 10 days so after choosing our desired colours from the palette, we had to eagerly wait and anticipate how our 'masterpieces' would turn out. Voila! And here they are! I think they look way better than we could ever expect and they sure delighted my girl the moment she saw her own creations of art. 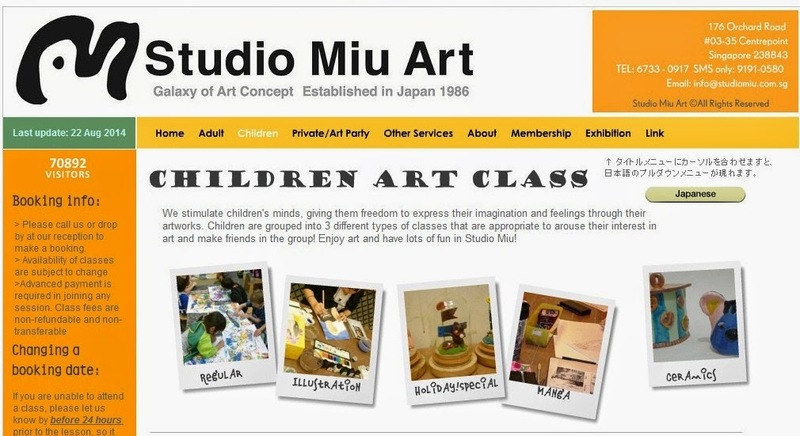 If you are keen to let your child experience the wonders of art at Studio Miu Art, do note that from September to November, they will be holding a promotion and there will be a $30 discount for new applicants in the Children's Regular Art Class. Thanks to Studio Miu Art for the delightful and fun experiential session we had! Having lived in Europe for four years, I would be one of the first to vouch for the high standards of their toys. Back in Sweden, I remembered I was initially appalled by how the toys seemed to be more costly and was apprehensive if they were worth the buy. Years down the road, I see how these toys have proven to be long lasting and endured wear and tear, including biting, snatching, throwing and tossing, and I can safely say that the choice to invest in better quality toys was definitely a well worth one. 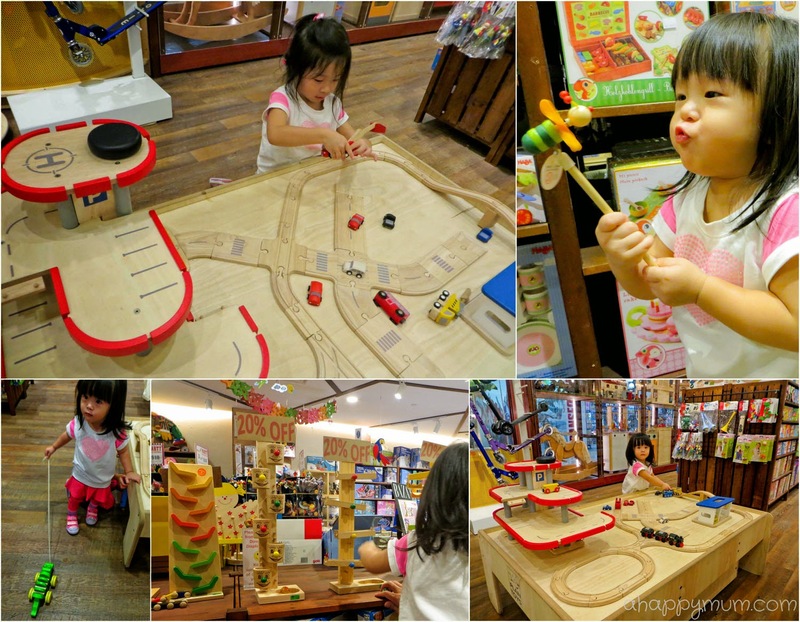 For one, I prefer wooden toys over plastic ones and it is rather contrasting when we compare our collection of wooden toys from Sweden against the plethora of plastic ones we have acquired in Singapore and other places. Not only are most plastics non-biodegradable, they are also perceived to have adverse long-term effects on human and animal health. When it comes to our children, we just wish to have the best for them, right? When we knew that we were going to have a guided tour at The Better Toy Store - a brand that believes that our children deserve the best and offers award-winning toys carefully selected for excellence in play value, design, quality and impact on environment, you bet we were thrilled. 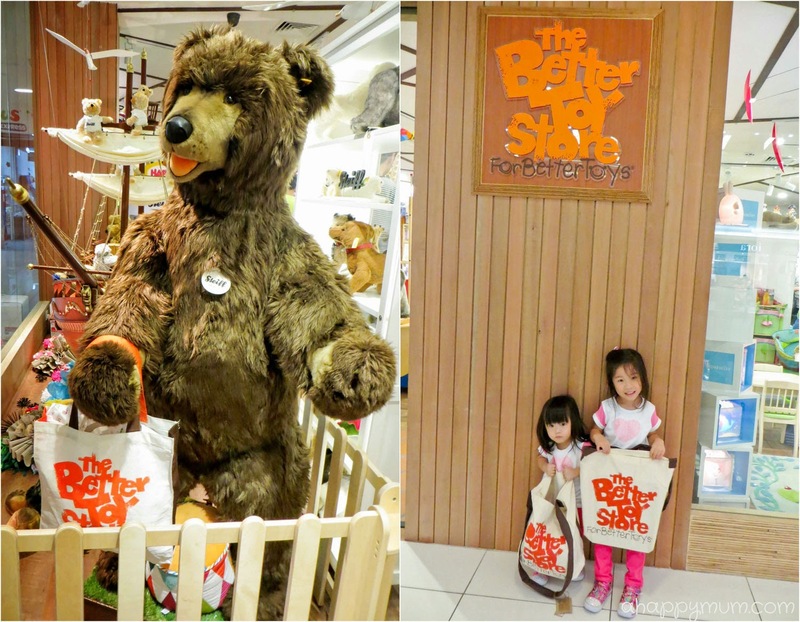 Having shifted out of the Takashimaya branch and officially opened at The Centrepoint in July 2014, The Better Toy Store has been presented with the Best Toy Store Award from Singapore Tatler - a prestigious accolade that recognizes the country’s best shops and sights - for seven consecutive years since 2007. 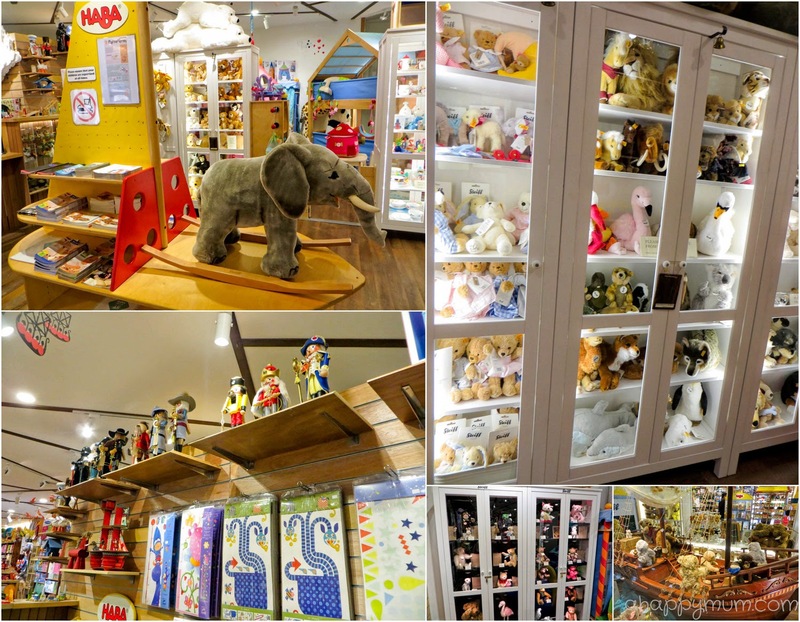 While the main brands of toys found in the store are imported directly from Germany, France, Holland and Thailand, they also carry toys and gift items from Australia, Belgium, Russia, Sweden, Switzerland, and the U.S. It was hard not to get mesmerised from the moment we stepped into the store. 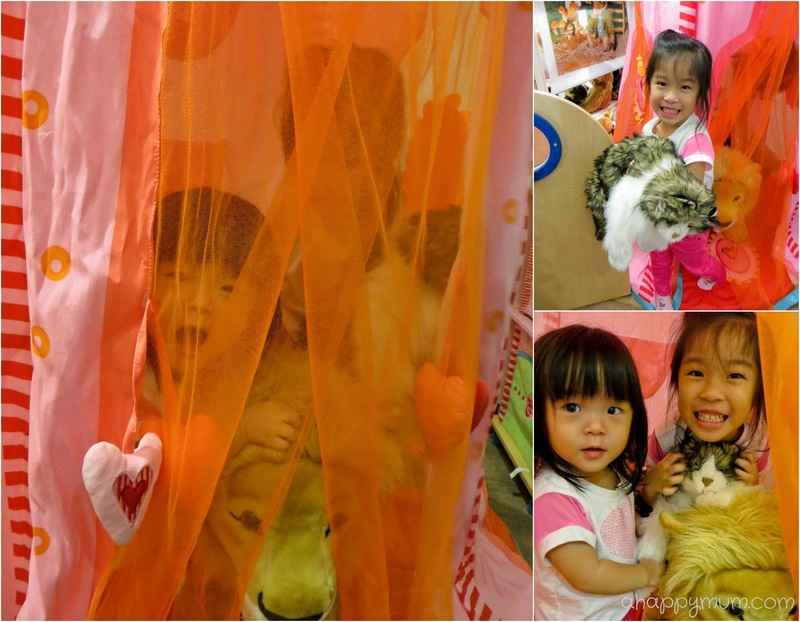 There was something charming, cosy and captivating about the ambience and once we were in, the kids seemed to have entered a toy paradise and couldn't wait to start exploring. Personally, I loved the wooden furniture and how it made the colourful toys look even more striking, and it was also an eye opener for me to come up close with so many uniquely and exquisitely designed toys. If you are a Steiff collector, you are bound to find something you love from this timeless and classic collection where each bear tells a story of its own. Puppet lovers will love this wide range of cute, furry animals on the wall - some of them are even reversible, my favourite is a frog that can be turned inside out to become a prince! For babies and toddlers, these wooden pull-along toys are sure to be a delight and can be your little one's newfound pet. If you are a puzzle lover, you might be blown away by the beauty of the packaging which makes these jigsaw puzzles ideal as birthday gifts. If your child loves to cook up a storm in the kitchen, he/she will be spoilt for choice by all the 'groceries' that can be bought here. 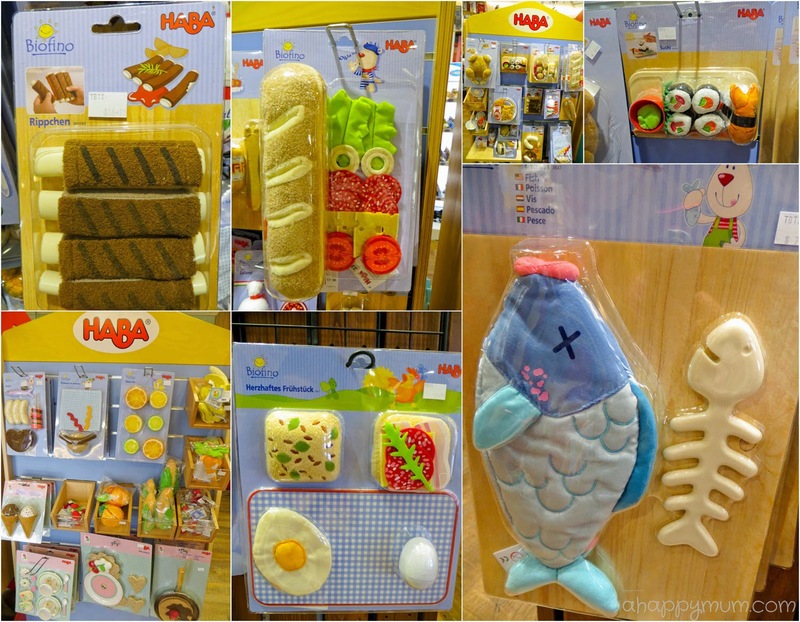 We were impressed by the intricate design and superior quality of European crafted kitchen toys from HABA which combine style, innovation, learning and entertainment for the little ones. See what I mean? They have sushi that comes with wasabi, sandwich that can be layered, spare ribs with detachable meat, fish with removable bones and eggs that can be cracked open. Can it get more fun than that? One of my favourite sections is the art and craft section where you can find an amazing range of craft sets from Djeco, a French educational toy company that produces whimsical wooden toys, games and puzzles. From painting to stamping and sand art, you can be sure to find something that is appropriate for your child's age and interest. When I spoke to Susan, the owner of The Better Toy Store, and told her about our love in art and craft, she was kind enough to pick out a few sets that might pique our interest and also shared with us on how these uniquely designed sets could help to spark a child's creativity. Every piece of tool contained in the box, including the instruction booklet, stamps and drawing paper, were of the finest quality. In fact, we were so blown away by the details that it took Angel quite some time to decide on which set she loved best. It is worthwhile to note that many of the toys have won numerous awards in both Europe and U.S., including some very prestigious ones such as the German Spiel Gut Award, Reddot Design Prize, and the Oppenheim Toy Award. In terms of safety and quality, the toys conform and often exceed the European EN71 and the US ASTM standards of safety. For baby toys, natural materials like wood and cotton are preferred and finishes are non-toxic, water-based and sweat and saliva resistant. If you are like me and wonder about the quality of toys that are imported from Thailand, here is a closer look at the two Thai award-winning brands available in the store - Plan Toys and Pintoy. In line with how The Better Toy Store only goes for the highest quality in their toys, these two brands utilise pure rubber wood that have exhausted their latex and would have otherwise been burnt. I think it is important to go for eco-friendly products whenever possible so that we can teach our kids to care for our environment, don't you think so too? This is how a typical wooden number looks like from the Plan Toys range. I must say it felt really firm, sturdy and had a nice finishing. It was quite uplifting when Susan shared with me that many of the toys in the store are not only dedicated to improving IQ levels in kids, they serve to develop EQ too. Considering the design, appeal and quality of these toys, they are definitely unique and vastly different from the toys that we frequently see elsewhere. That probably accounted for why the kids were totally ecstatic to be in the shop and had to reluctantly bid farewell when it was time to leave. It's not hard to see but I think we will probably have to make a trip back here soon since it is now one of our favourite toy stores. If you are looking at getting toys for your children or as gifts for loved ones, note that The Better Toy Store has two main promotional periods annually during June and December. In other months, they hold brand-specific or themed promotions, for example this September, they are having a 20% off their entire range of Lilliputiens toys, a Belgium-based brand. In October, they will be celebrating Children's Day with a giveaway and hand out free candy during Halloween. Thanks to The Better Toy Store for introducing us to fun and high-quality toys as well as reminding us on why our children deserve the best! • Store age range: 0-15 years old, with emphasis on babies, toddlers and primary school-going children. Gift items are available for all ages from 0-99, young and old alike. • History: The Better Toy Store turns 10 this year and the owners have been in the toy business for over 25 years. Just for A Happy Mum readers, we have a hamper of GOODIES to give away! Check out all the amazing items ranging from art supplies to games and toys! This hamper is suited for children aged 4 to 10 years old and the giveaway is open to readers with a valid Singapore address for delivery. To participate, simply leave a comment in this blog post with your name and email address. Indicate in the Rafflecopter widget that you have commented and to increase your chances of winning, you can carry out the rest of the options. Good luck, everybody! Disclosure: This is a sponsored conversation between Fraser Centrepoint Malls and A Happy Mum. All opinions are my own. My girl would certainly love to have additional art material to do crafts with at home. I've been eyeing the toys from The Better Toy Store for ages! Can't wait to check out their new store. Thanks for hosting this awesome giveaway! My girl will be delighted to own these awesome art supplies! Gosh more arty fun and quality toys, do appreciate what has been offered to children these days. more arts n craft! my 3yo has been requesting for craft work everyday after her afternoon nap - would be nice to do some special stuff with the hamper! Hope to win this for my kids as they love art and crafts. Oh, such a good giveaway! Thanks, Summer for the review, and we'll certainly check out both stores. Love the creations you made! Oops forgot my name and email. I think I will hyperventilate in The Better Toy Store. Spotted so many of the toys that I want to get just from the pictures alone. Can you imagine being IN the store? But then again, looks like a trip to Centrepoint is due! 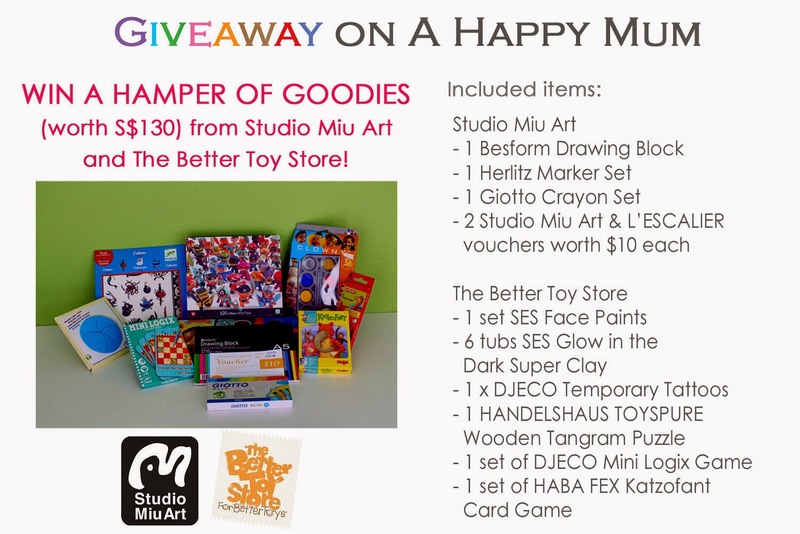 This is such great giveaway! If only I can have all the toys in The Better Toys Store! Heaven! Simply Awesome..Thanks a lot for kid friendly giveaways..
What an interesting concept! Thanks for letting us know! A well-thought and meaningful giveaway! awesome box of crafty arty for my little one! Love to win this set for my girl who is a young artist! Would love to have this set for my gal who loves to draw and doodle and craft, and for my son who loves to undo what his older sis sets out to do! My daughter, Ariel, loves art and I think she would be absolutely thrilled to be surprised with such a wonderful hamper! Can imagine the joy if she were to receive it.